Mount Kinabalu via Ferrata Climb To Make A Wish Come True! My birthday wish since I was 18 is finally coming true, now help me make someone else's wish come true! “Family is not an important thing, it is everything." At the age of 15, Nayli was diagnosed with Ewing Sarcoma (Tissue Cancer) in February 2017 and has been undergoing treatment since March 2017. She is a bright outspoken child who has an interest in the Arts and loves fashion. Ever since the diagnosis, she has been constantly in and out of hospital for her treatment. With her siblings actively going to school and her mother having to work in order to make ends meet for the family, it has been difficult for the family to really find the time to spend with one another. Understanding that, her wish is to go on a family trip with her Mom and siblings to Langkawi so that they can really reconnect as a family once again. 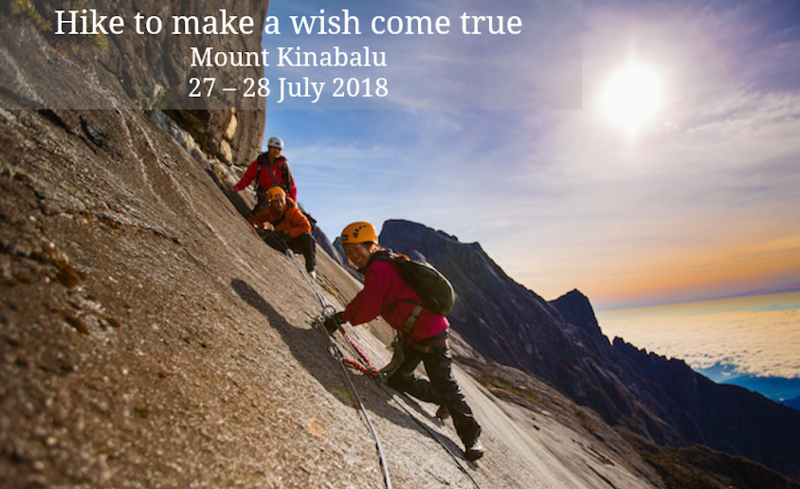 Make her wish come true by supporting me with my climb up Mount Kinabalu via Ferrata (The Highest Ferrata in the World) and Make-A-Wish Malaysia! I hope that this fundraiser not only makes Nayli's wish comes true, but also serves as a reminder to me and you. That no matter how much we get busy chasing our goals in life, we should always try to remember the little blessings we have been granted with and our responsibility to give back to the society. My Mount Kinabalu Climb via Ferrata will begin on the 27th & ends on the 28th of July 2018. I have paid for the trip entirely and that all the money fund raised through this climb will go directly towards making Nayli's wish come true. For any further information or inquiries, please do not hesitate to contact me at +60123965532 or email me at enizaellias@gmail.com.